Hit Network‘s outrageously popular RnB Fridays format has evolved into a movement unto itself, today announcing the huge line-up for their third national tour. Beginning life as a simple weekly takeover, RnB Fridays headed out on its first national run in 2016, selling out five shows and garnering 50,000 attendees. 2017’s events doubled the punters bringing in 100,000 people to shows in Sydney, Melbourne, Brisbane and Adelaide. This year’s run will see Hit bring out Usher, Lil Jon, Salt N Pepa, T Pain, Trey Songz, Eve, Naughty By Nature, Ginuwine, Estelle, Next, Fatman Scoop and a special mystery guest. 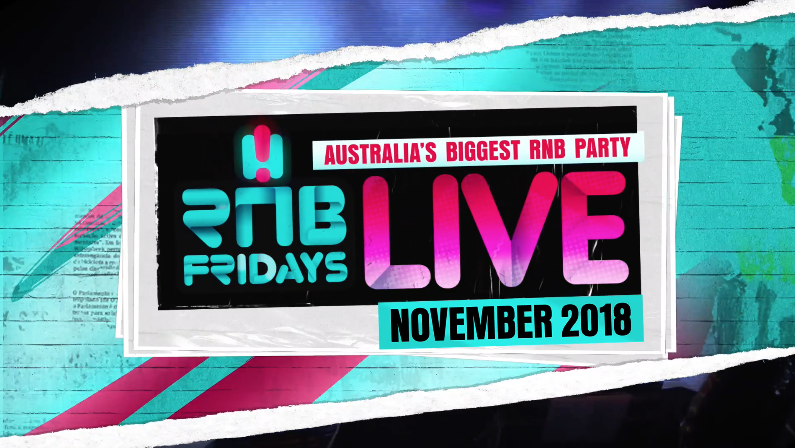 RnB Fridays Live 2018 will hit stadiums in Perth, Melbourne, Adelaide, Brisbane and Sydney this November. Tickets are on sale from Monday, 20 August; for more information head here.